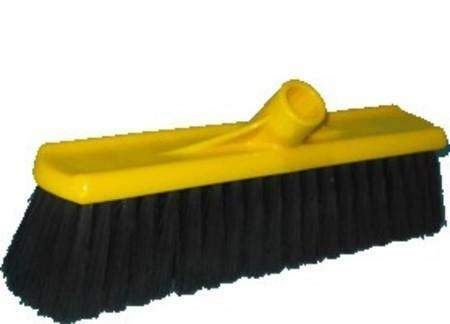 350mm Hard Broom (Plastic Back) Heavy gauge polypropylene fibre ideal for heavy duty cleaning applications. Ideal for oil, grease, and heavy dirt removal. Highly resistant to acids and alkalis.